accomplished together – achievements founded on a commitment to both excellence and integrity. Welcome to the 2013 Research Report. This marks my final year as vice-president (research) of Memorial University. Since my appointment in 2002, my team and I have made it a priority to communicate the achievements of our researchers and their impact on the world we share. I’m proud of what we’ve accomplished together – achievements founded on a commitment to both excellence and integrity. And I leave confident that Memorial University is well-positioned for even greater success. I hope you enjoy this year’s report. Thank you. Memorial University’s 2013 Research Report, Into The Deep, reflects Memorial’s motto, Provehito in Altum (Launch forth into the deep), which aptly captures the spirit of discovery inherent in research. Readers are urged to launch forth into the report, just as researchers launch forth into new frontiers of knowledge. As mirrors of the soul and windows on the world, your eyes are remarkable structures. From reading the words on this page, to the view as you gaze up, an open eye is continuously working. Like any well-used machine, the eye can begin to fail with age. As the name suggests, age-related macular degeneration (AMD) is an eye disease that develops over time. In its first stage, known as dry AMD, central vision is slowly lost in patches around the focal point. In its second more severe stage, wet AMD, the blood vessels under the thinning macula, the oval-shaped yellow spot near the centre of the retina, begin to grow irregularly and may leak blood and fluid. These changes result in rapid and severe central vision loss. Research by Drs. Robert Gendron and Hélène Paradis, professors in the Faculty of Medicine, is providing a clearer picture of macular degeneration. AMD is one of the leading causes of blindness in industrialized nations. The wet form of AMD progresses very rapidly and causes most of the severe vision loss of AMD. They and their team have identified a novel protein labelled Tubedown. This research is especially relevant to Newfoundland and Labrador where the population is aging and there is a high rate of diabetes. The latter is a major contributing factor in the development of neovascular retinal disease. Our ultimate goal is to cure blindness, or actually to prevent blindness in these individuals that are getting age-related eye disease. Archival photos of Portuguese sailors playing soccer in St. John's and of Newfoundlanders breaking for lunch on a skyscraper high above New York City: migrating for work has been part of life for a long time. But in today’s world, more and different kinds of workers are on the move, within Canada and beyond. The On the Move Partnership is exploring the spectrum of work-related mobility in Canada: from extended daily commutes through prolonged absences in other provinces and countries; and from highly-paid executives to minimum-wage service jobs; and the temporary migration by foreign workers into Canada. The On the Move Partnership includes more than 40 researchers from 17 disciplines and 22 universities, working with more than 30 community partners to design the research, interpret the results, and disseminate the findings to diverse stakeholders. This partnership is helping us understand ways work-related mobility is affecting Canadian employers, workers and their families, communities, and Canadian competitiveness and future prosperity. “Teens attack classmate as others video the assault”; “Knife drawn in school bullying case” – we’ve all read the headlines, perhaps sent our children to school in pink T-shirts for anti-bullying day. But when the headlines fade and the T-shirts come off, how do we foster a safe, respectful and caring environment in our schools? 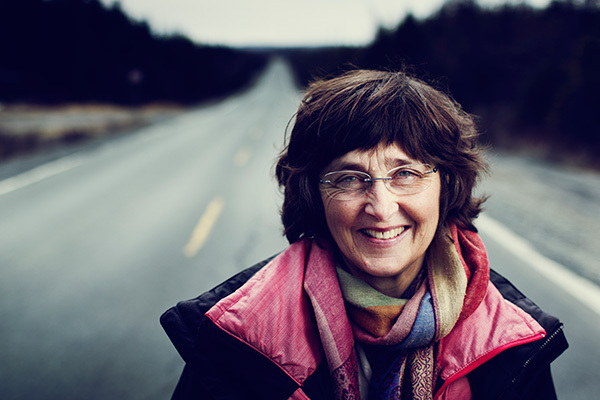 Dr. Dorothy Vaandering believes the principles and practices of restorative justice can help. “Restorative justice is based on the understanding that humans are relational beings”, she explained. "The stronger our relationships, the less likely we will act inappropriately towards each other. If we learn how to honour and respect each other as worthy, authentic relationships that shape healthy communities will grow. In such a context when someone’s well-being is undermined by others, restorative justice provides a space for dialogue wherein the dignity of everyone involved can be restored." Relationships First: Implementing Restorative Justice from the Ground Up is a research project led by Dr. Vaandering. Educators from local public schools, an independent school and a community youth organization are taking part. The purpose of this project is to find ways to implement restorative justice principles and practices that model the relational culture it is attempting to nurture in schools. Dr. Dorothy Vaandering discusses the goals of the Relationships First project. Memorial’s Labrador Institute has teamed up with the Marine Institute’s Centre for Fisheries and Ecosystems Research (CFER) to attract new researchers, improve the region’s resource and development capacity, and enhance its engagement with stakeholders. Fish are an important food source to many communities in Labrador and Dr. Clément’s work will generate scientific information to better manage and protect these subsistence fisheries. Her research project will determine the genetic structure and identify the river of origin of Atlantic salmon in Lake Melville. She will also launch a project looking at methylmercury contamination in the aquatic food chain related to hydroelectric developments at Muskrat Falls. Building on the existing strengths, activities and accomplishments of the Labrador Institute, Dr. Clément is partnering with Aboriginal communities, non-Aboriginal residents, the Torngat Secretariat, the Department of Fisheries and Oceans, Department of Natural Resources, industry, and fishing associations. Her research program will not only enable better conservation, food security, and fisheries management, it is also helping to give Memorial a stronger presence in and relevance to the region. The scene is a familiar one: a small church profiled on the vast Arctic landscape. From that church emanates the sound of a wheezy organ and a congregation singing hymns, perhaps in Inuktitut. It’s an iconic image of the assimilation of western ways by the Inuit of Canada’s north. However, in Nunatsiavut, the Inuit territory on the North coast of Labrador, early and persistent contact with Moravian missionaries also laid the foundations of a unique musical culture. Along with the familiar hymns, complex anthems from the time of Bach and Mozart were sung in these churches, often with the accompaniment of a small orchestra; communal and spiritual life celebrated with a parading brass band. To the elders of Nunatsiavut this music practice is a source of great pride, and despite its colonial origins, a defining element of their expressive culture. Together with the Moravian musicians of Labrador and a group of singers and musicians from St. John’s, the School of Music is documenting and promoting the rich musical heritage of the Labrador Inuit. 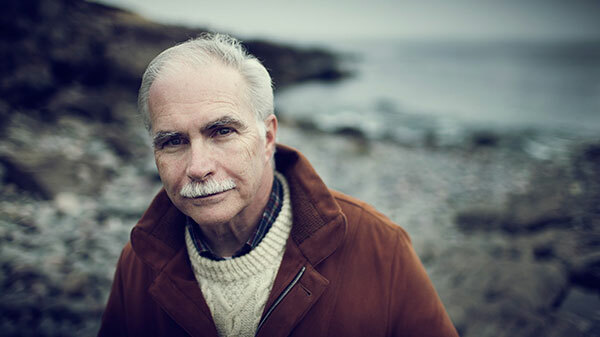 Led by project director Dr. Tom Gordon, with Tim Borlase, Kellie Walsh, and independent filmmaker Nigel Markham, this project included a series of collaborative workshops and performances along the Labrador coast, and a documentary film. A CD and curricular materials supporting language retrieval for use in schools and literary programs in Nunatsiavut are also in development. These creative and collaborative outcomes are testament to the rich cultural history and staying power of the Moravian musical tradition in Labrador, and to Aboriginal empowerment during a period of colonialization. They also offer unique insights into modern Inuit society in Labrador as it seeks to find a balance between its past, its present and its future. Searching for oil in harsh northern climates is a new frontier for petroleum exploration. Sub-zero temperatures and ice-packed oceans is a forbidding environment under the best of conditions. Among its many challenges, strong winds and currents force sea ice to pile up on itself forming ice ridges. Like the bottom of a boat, these ice ridges have a keel. In shallower water they cut deep gouges into the seabed, posing a serious threat to pipelines and other subsea structures. A four-year collaborative venture between C-CORE’s Centre for Arctic Resource Development (CARD) and the National Research Council – Ocean, Coastal & River Engineering is exploring the failure mechanisms associated with gouging by ice ridge keels. Led by Dr. Eleanor Bailey, the Development of Ice Ridge Keel Strength (DIRKS) project is using near full-scale gouge tests to determine the strength characteristics of a first-year ice keel, and its subsequent failure when pushed into an artificial seabed. The results of the DIRKS project will not only help establish the physical limits of an ice keel gouge, they will inform the design criteria for subsea pipelines and infrastructure in areas prone to ice keel gouging, such as the Beaufort, Barents and Caspian seas. It’s a troubling statistic. One in three adults in Newfoundland and Labrador is overweight. For some, this is a serious condition (morbid obesity) interfering with basic functions such as breathing or walking. These individuals are also at high risk for illnesses such as diabetes and high blood pressure. Traditional weight loss programs rely on a combination of diet, exercise, and medication. Unfortunately, few ever achieve long-term success, even with the best programs. Weight loss surgery is providing the morbidly obese with an alternative. Laparoscopic sleeve gastrectomy (bariatric surgery) became available in Newfoundland and Labrador in May 2011. To assess its long-term effectiveness, and to address existing research gaps, a multidisciplinary research program was launched. Led by Dr. Laurie Twells, School of Pharmacy and Faculty of Medicine, the primary study will recruit patients before surgery and follow their health outcomes, changes in quality of life and health services use for up to 10 years. The team will investigate if weight loss is sustainable and if there is continued improvement, resolution or regression of related health conditions. In addition, the team will investigate the impact of surgery on nutritional needs and deficiencies and cardiovascular risk. The group includes faculty and students from Memorial’s School of Pharmacy and Faculty of Medicine, surgeons, nurse practitioners, dieticians, decision makers from Eastern Health and the NL Centre for Health Information, and policymakers at the provincial Department of Health and Community Services. As members of the Canadian Obesity Network, the research team will be well placed to translate their study findings, providing new evidence to guide the use of bariatric surgery. Dr. Laurie Twells discusses the multidisciplinary research team investigating bariatric surgery in Newfoundland and Labrador. We know from some of the interviews with patients that this is life-changing, it's life-saving, it's a second chance at life for some of these people to get out, play with their grandchildren, be out in public. 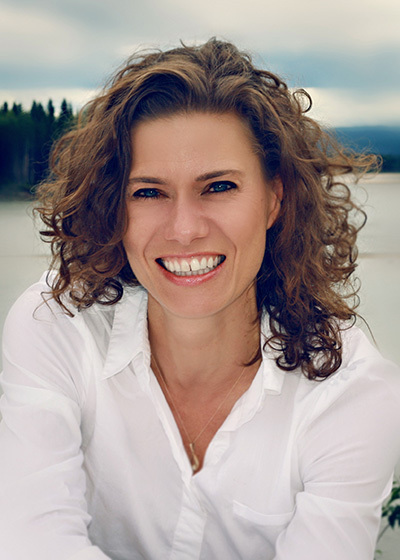 Dr. Natalie Slawinski discusses how the oil and gas industry can be more effective. Like a good neighbourhood-watch program, environmental protection requires co-operation from everyone. And the complex environmental issues facing the oil and gas industry are no exception. Yet in this highly competitive industry, how can companies work together to improve the industry’s overall environmental performance? To address this question, Dr. Natalie Slawinski, Faculty of Business Administration, and her research team are examining the barriers and enablers of collaboration in the oil and gas industry. They are also examining ways to balance the tensions between competitive forces and the need for industry collaboration to achieve faster environmental improvements. Working with representatives from the oil sands companies, non-governmental organizations and government, Dr. Slawinski began by looking at the challenges to industry collaboration. They include factors such as divergent corporate cultures, and a lack of shared purpose among the players. Her research team, including Drs. Frances Bowen (Queen Mary, University of London), Tima Bansal (Western University) and Connie Van der Byl (Mount Royal University), are also closely following the work of the Canadian Oil Sands Innovation Alliance. This collaborative network is looking to accelerate innovation in environmental performance in the Alberta oil sands. "The people working in the oil and gas industry have a vested interest in preserving the environmental well-being of the Earth, just like the rest of us," noted Dr. Slawinski. "We want to find ways to help them achieve that collaboratively and effectively." It's a goal in which we all have stake. You see it in countless movies and television dramas – suspects are arrested and immediately read their rights. As an actor in this situation, all you really need to know are your lines. But what if this was an actual arrest? Do people really understand the meaning and implications of their rights? While most claim they do, Dr. Brent Snook and his team have found the majority of people do not fully grasp the content of police warnings. In fact, his research has shown that only about 30 per cent of this crucial information is actually understood. However, Dr. Snook’s research has shown that in non-stressful conditions, certain techniques, for example reminding a suspect of the importance of the message, asking them to simply pay attention, or breaking down the information into categories, can significantly improve retention and understanding. Future studies will test if these same techniques are effective in more stressful situations. He and his team are also planning to study the cautions given to youth, which are even more complex. Generally, suspects understand 30 per cent of the legal rights read to them by the police. 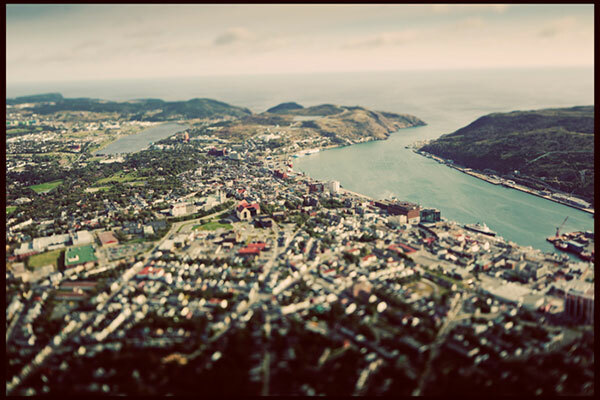 For centuries, Newfoundland and Labrador and its people have been shaped by the cold North Atlantic. Dr. Brian Veitch is no exception. With a long standing interest in improving operational safety and effectiveness in harsh offshore environments, Dr. Veitch's appointment as the new Husky Energy Chair in Oil and Gas Research gives him even more opportunity to build on a record of success. The chair was endowed by Husky Energy in 2003, and while Dr. Veitch's selection marked the end of a thorough international search, his journey to this opportunity seems almost pre-destined. 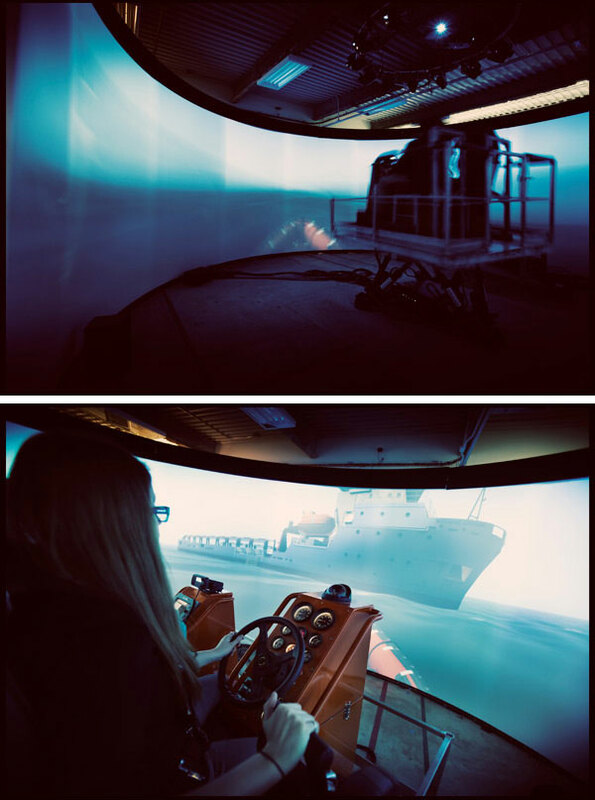 From an undergraduate student in Memorial's co-operative engineering program, with stops in Helsinki and the National Research Council’s Institute for Marine Dynamics, Dr. Veitch has become a leader in offshore engineering for harsh ocean and Arctic environments. As the previous holder of the Terra Nova Project Junior Research Chair at Memorial, he developed an applied research program on ocean environmental risk engineering. In parallel, he initiated an interdisciplinary research program on offshore and maritime safety to improve safety at sea. Along the way, he earned the President’s Award for Outstanding Research at Memorial University, and Transport Canada’s Marine Safety Award. He also helped launch several technology companies with his graduate students. Dr. Christopher Loomis, vice-president (research) sees, in this appointment, the strong alignment of industry needs with relevant academic expertise and commitment. “The successes of faculty members like Dr. Veitch continue to attract the attention of industry," he said. "This partnership with Husky Energy is certain to yield important advances in our ability to operate safely and effectively in harsh offshore environments. That's a winning situation for all concerned!" It’s the stuff of nightmares: you’re trapped in a vehicle. You’re underwater and you’re upside down. Dr. David Behm, School of Human Kinetics and Recreation, became interested in researching the effects of instability, darkness, and body tilt on the neuromuscular system after visiting the Marine Institute’s Offshore Safety and Survival Centre. It is there where offshore workers are trained to escape from overturned helicopters in the ocean. When an aircraft, or any type of vehicle overturns, those inside have one to three seconds before their heart rate and blood pressure drop. To investigate these effects, participants were subjected to varying degrees of instability and tilt. The results demonstrated an extremely fast inhibition of the sympathetic nervous system, and a corresponding decrease in heart rate and blood pressure when positioned upside down. Inversion swiftly reduced cognitive abilities and strength, both of which are needed for survival. 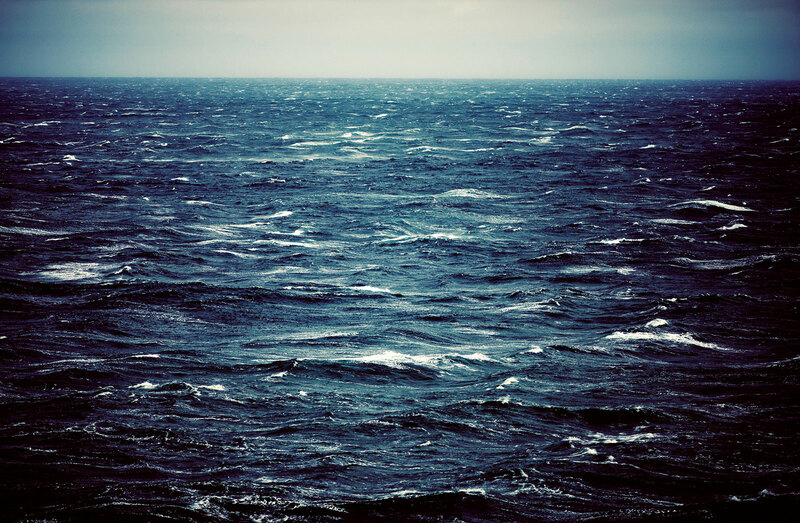 Ship operations, life boat evacuations, and firefighting must be performed under unstable and body-tilted conditions. From military pilots performing combat manoeuvres, to oilrig workers travelling to and from work via helicopter, this work is helping to define how the body reacts under emergency, life-threatening conditions. The research also has important implications for job effectiveness, injury prevention, and lifesaving manoeuvres in marine environments. We looked at the ability to have command of your vigilance and your cognitive functions while you're upside down. Can you think as fast? Can you react as fast? Dr. Ratana Chuenpagdee talks about the marginalization of small-scale fishers. From Newfoundland to Namibia, where there are fish, there are fishers. In fact, eight per cent of the world’s population depend on fishing for a living. Of that number, more than 90 per cent are engaged in small-scale fisheries. Yet research and dialogue on fisheries policy have traditionally focused on large-scale, industrial fishing. Dr. Ratana Chuenpagdee, Canada Research Chair in the Faculty of Arts, believes small-scale fisheries deserve greater attention and better governance. Dr. Chuenpagdee has been involved in fisheries research since 1985. Originally from Thailand where fisheries are dominated by small boats, she is leading a six-year international research project titled Too Big to Ignore: Global Partnership for Small-Scale Fisheries Research. It will explore all aspects of small-scale fisheries - ecological, social, historical, political and economic. The scale of the project is big. It involves 62 researchers from 27 countries in five regions of the world, and 15 partner organizations. 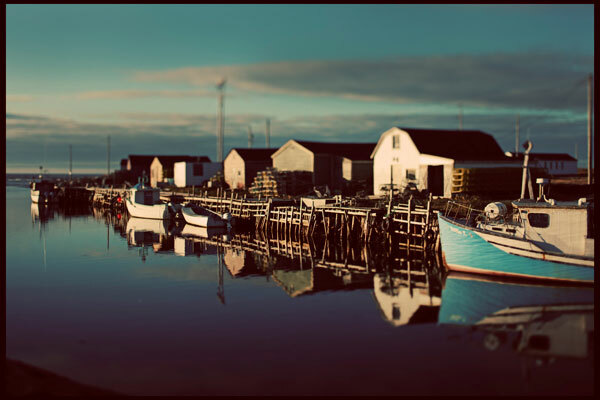 Of course, inshore and small boat fisheries have long contributed to the economic growth, job creation and food supply of Newfoundland and Labrador. Too Big to Ignore will help researchers, community partners, government and small-scale fishing people find local and global solutions to foster the positive, and not so small, benefits of sustainable, small-scale fisheries. In doing so, it will also bring focus to and a greater understanding of our own fishery. On one side of the bay, there are high-end restaurants serving nouvelle local cuisine, and elegant artist residency studios. On the other, there are weathered houses with boarded-up windows and a long-abandoned fish plant. Why is it that some communities and regions flourish while others flounder? While many factors are possible, greater clarity to this question may emerge from a nation-wide project titled Canadian Regional Development: A Critical Review of Theory, Practice and Potentials. Led by Dr. Kelly Vodden of the Environmental Policy Institute at Grenfell Campus, this multi-year project is exploring five key themes: place and place-based development; governance; integrated approaches to development; rural-urban interdependency; and learning and innovation. It will also compare relevant policies and practices in Québec, Newfoundland and Labrador, Ontario, and British Columbia, and in specific regions in each province. The research team, including faculty and students at the University of Guelph, Simon Fraser University, Concordia University, and the Université du Québec à Rimouski, will examine other critical areas such as place as a starting point for development, shared decision-making among groups, the role of knowledge and innovation in the development process, and how rural-urban relationships are managed. Importantly, Canadian Regional Development: A Critical Review of Theory, Practice and Potentials intersects the areas of research, policy, and practice. It seeks to understand the extent to which regional policies and practices are effective and following current theory, and how Canadian experiences can inform new regional thinking. In doing so, it is also building new collaborations between researchers and policymakers, and putting research into practice. (Our goal is) to ensure that we maintain a diverse society where people can live in rural as well as urban areas, where those relationships between rural and urban areas can be healthy and mutually supportive. Thousands of years in the making, it’s astonishing what you can find in the world’s peatlands – moss, berries, insect-eating plants, the occasional prehistoric man perfectly preserved to thrill archaeologists and historians alike. They’re also the most space-efficient carbon store among all land-based ecosystems. Indeed, northern peatlands, which cover only three per cent of the Earth’s land surface, contain approximately one third of the Earth’s soil carbon. It is this astonishing storage capability that has led Dr. Jianghua Wu of the Sustainable Resource Management Program, Grenfell Campus, to examine the impacts of human disturbances and climate change on the carbon cycling of northern peatlands. Peatlands play a vital role in promoting biodiversity, affecting water supply, and regulating climate. Dr. Wu’s study is one of the first research projects specifically designed to examine greenhouse gas exchanges in peatland ecosystems in Newfoundland and Labrador. It is being conducted at Robinsons, Bay St. George. McGill University and the Chengdu Institute of Biology, Chinese Academy of Sciences, are also partnering with Memorial on this research. Making informed decisions on the future of natural peatlands will require scientific data and a better understanding of peatland ecosystems. Information obtained from studies such as this will be essential for peatland management policy in Newfoundland and Labrador and beyond. These policies must balance the trade-offs between land-based greenhouse gas mitigation and other objectives to enhance environmental sustainability (e.g. carbon credits) versus agricultural development of the same areas. The work being led by Dr. Wu could also identify peatlands with particular attributes making them better for conversation or future development. Waste not want not: the Fisheries and Marine Institute’s Centre for Aquaculture and Seafood Development (CASD) is turning waste from seafood and aquaculture processing into usable products at their Marine Bioprocessing Facility. The research team includes Murphy, marine biotechnologist Julia Pohling, and environmental engineer and research scientist Dr. Deepika Dave. Under the leadership of CASD director Heather Manuel, they are developing environmentally sound, pilot-scale methods to extract biodiesel from marine oils and chitin from shellfish. Oils extracted from raw materials vary in quality. The most common type is low-grade, which has some industrial applications. The team’s goal, however, is to produce high-grade oils like biodiesel and neutraceuticals, and they have successfully produced high-grade biodiesel oils on a pilot-scale using salmon and cod liver oils. Efforts are also underway to develop an environmentally friendly method for extracting chitin from shrimp and crab processing waste. Once extracted, chitin can be converted into chitosan, which has various commercial and biomedical applications. Working with a local seafood processor and biomedical company in Quebec, the team has developed a lab-scale extraction process to produce high-grade medical chitosan. Like biodiesel, the predicted demand for biomedical chitosan is high. 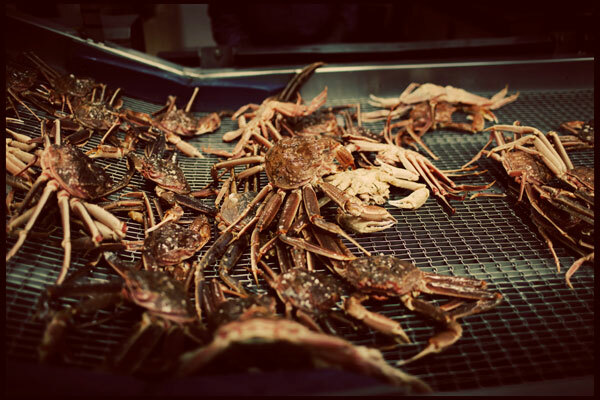 From waste to want, the opportunity to turn discards into high quality commercial products makes this research a great value for the seafood and aquaculture industries. We’re all getting older, and as Canada’s population ages, there is increasing interest in age-friendly communities. These are communities that enable people to “age actively” – to enjoy good health, to live in security and to participate fully in society. Research lead by Dr. Wendy Young, Canada Research Chair in Healthy Aging at Memorial, set out to discover just how age-friendly is St. John’s. Working closely with the Mayor’s Advisory Committee on Seniors, the project was a “win-win” explained Dr. Young. “The Advisory Committee was genuinely interested and engaged in the work we were doing on age friendliness, and the research yielded some valuable results”. The hypothesis was based on the ground-breaking work of pioneer Dr. Barnard Isaacs - design for the young and you exclude the old; design for the old and you include the young. The team surveyed a sample of people living in St. John’s: half age 60 and over; half under the age of 60. Safe, affordable housing emerged as the primary concern for all residents. The survey also found that clear sidewalks is not only an issue for seniors, they’re a concern for parents and caregivers who use strollers and others who use sidewalks regularly. The findings of the research were welcomed by the Mayor’s Advisory Committee which made recommendations to city council on the developing age-friendly policies and plans for the city. In fact, the partnership worked so well, the research team was recognized with the 2012 Primary Care Research Award from the Faculty of Medicine’s Primary Healthcare Research Unit. As the province with the fastest growing senior population, it’s an issue of growing urgency in Newfoundland and Labrador. 2012/13 total: $100,177,355 (numbers for 2012/13 are preliminary and subject to revision). *Other includes conferences/workshops/symposia, equipment, general support grants, publications, travel and other. *Other includes Networks of Centres of Excellence, Canada Research Chair and Canada Foundation for Innovation. 2012/13 total: $25,317,000 (numbers for 2012/13 are preliminary and subject to revision). *Other includes individual, provincial government (not NL), U.S. government and other. 1 Safer, Andrew. “Centre for Arctic Resource Development Tackles Priorities in Ice Research.” International Ocean Systems 17,2 (March 2013): 17-19.